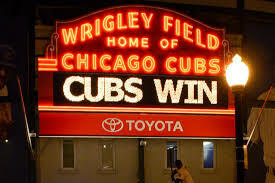 A Bob's Life: Cubs WIN! Game 7 did not disappoint. It had everything that baseball has come to expect from a Game 7: drama, homers, rain delay, and scoring, but most importantly it showcased two teams playing some of the best baseball possible ending a season that began seven months ago. Yes, I was up late last evening. No, I was not awake for the deciding 10th inning because I had to preserve something for work today. The rain delay at midnight east coast time caused me to evaluate my options and choose some sleep and to read about the winners in the morning. What an inning it was. Two runs scored for the Cubs and one for the Indians. 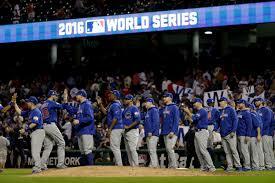 The Cubs won their first championship since 1908! That is historic! Even the New York Times documented the occasion with an image on the first page. The movie "Back to the Future" was off by only one year! The Cleveland Indians now possess the longest championship drought in baseball, as they last won the World Series during 1948! And so, the 2016 MLB campaign has ended. The boys of summer have struggled since April and finally, a champion has been crowned. Tonight, I can go to bed at a reasonable hour! Spring Training does not begin until February!